The world's fastest diva, ready to guide the Z4 to the top with her beautiful voice! GOODSMILE RACING & TeamUKYO is currently taking part in the GT300 class races of Japan's top motor racing series the 'SUPER GT' under the banner of the 'Hatsune Miku GT Project'. 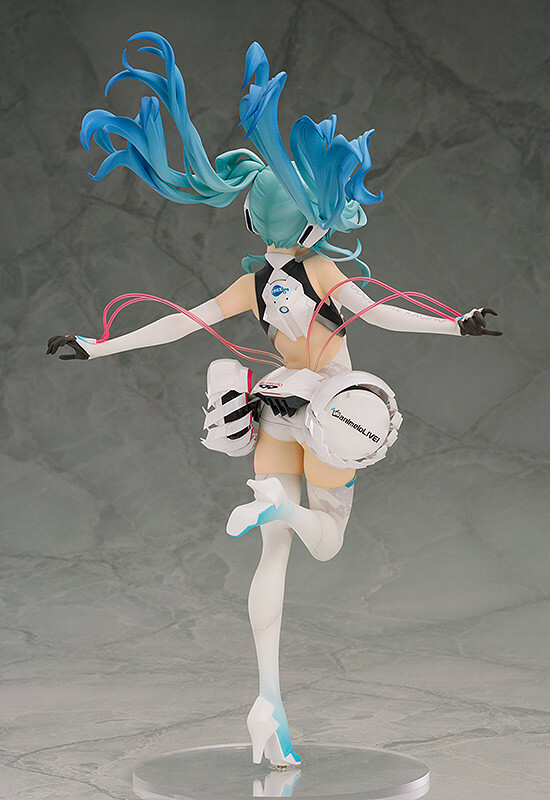 The mascot character for the project is none other than Racing Miku, who is back again in 1/8th scale, this time dressed up in her 2014 outfit! This season's Racing Miku was illustrated by the up-and-coming illustrator Oguchi with design direction by Shigeto Koyama, famous for his work in various anime series! The two of them have come together to create a design that fans have come to love, which has now become a scale figure to join collections around the world! Painted 1/8th scale ATBC-PVC figure with stand included. Preorders will be open from 26th August 2014 (Tues) from 12:00JST until 24th September 2014 (Wed) at 21:00JST.